The alert came four days before the 20th anniversary of the April 1999 massacre at Columbine, when two heavily armed students stormed the suburban Denver high school and fatally shot 12 classmates and a teacher before committing suicide. 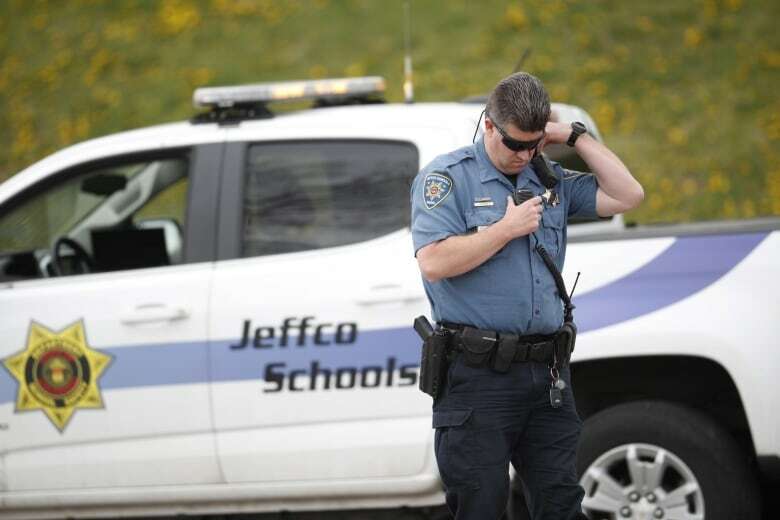 Tuesday’s lockout, less serious than a public safety “lockdown,” means activities inside schools may continue as usual but entry and exit are restricted, the Jefferson County Sheriff’s Office said on Twitter. Officers were “investigating what appears to be a credible threat possibly involving the schools,” the sheriff’s department said on Twitter, adding that students were safe and additional deputies were dispatched to the schools. The precise nature and circumstances of the threat were not immediately disclosed. But the sheriff’s office later said that an 18-year-old woman identified as Sol Pais was being sought by the Federal Bureau of Investigation and sheriff’s deputies in connection with the case. “Last night, Sol Pais traveled to Colorado & made threats. She is armed & considered to be extremely dangerous,” the sheriff’s office said on Twitter, adding that Pais was wearing a black T-shirt, camouflage pants and black boots and was last seen in the Jefferson County foothills. The tweets included two photos of the woman. Authorities did not disclose how Pais came to the attention of law enforcement or how the alleged threats were conveyed. The sheriff’s office spokesperson, Deputy Mike Taplin, said the anniversary of the Columbine mass shooting was not a “direct” factor in the security alert. He referred further questions to the FBI. A spokesperson for the FBI’s Denver field office did not immediately respond to queries. Jefferson County Public Schools tweeted a list of 22 elementary, middle and high schools placed under lockout. All after-school activities will go on as scheduled, except at Columbine, where they were cancelled as a precaution, the district said. 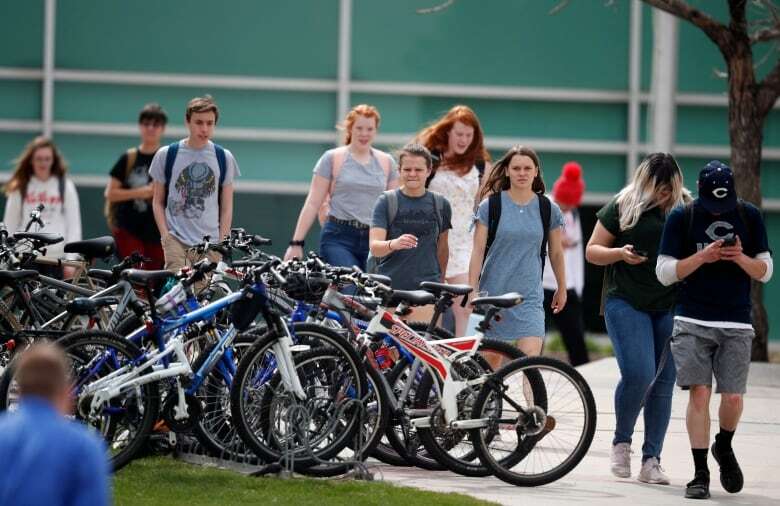 The Colorado Department of Public Safety later alerted schools throughout the Denver metropolitan area to the threat, recommending they conduct a “controlled release” of students from classes in the afternoon. Security alerts and safety drills have become commonplace in public schools across the United States in the years since the Columbine shooting as campus gun violence has grown more frequent. In Denver public schools alone, there have been 22 lockdowns and 294 lockouts over the past two academic years, according to school data cited by the Denver Post.